Dr. David Fry has been practicing dentistry in Montgomery since August 1979. He is the founder of SmileMakers, Drs. Fry, Barganier and Associates. His dental training was at UAB School of Dentistry and upon graduation he worked in the United States Air Force for three years. While he was stationed in Texas he received additional training in IV Sedation, Oral Surgery Techniques, and Root Canal Therapy. Dr. Fry currently holds a permit for IV and Oral Sedation in the state of Alabama. He has been a dental consultant for other dental practices in Alabama, Tennessee and Georgia. Dr. Fry is a member of the American Dental Association, the Academy of Implant Dentistry, and the Alabama Dental Association. He is also a Fellow of the Academy of General Dentistry and was recently inducted into the Pierre Fauchard Academy that recognizes leaders in the field of dentistry. Dr. Fry enjoys staying abreast of the newest research and treatment available in dentistry. He particularly enjoys working with implants and restoring the smiles they make possible. 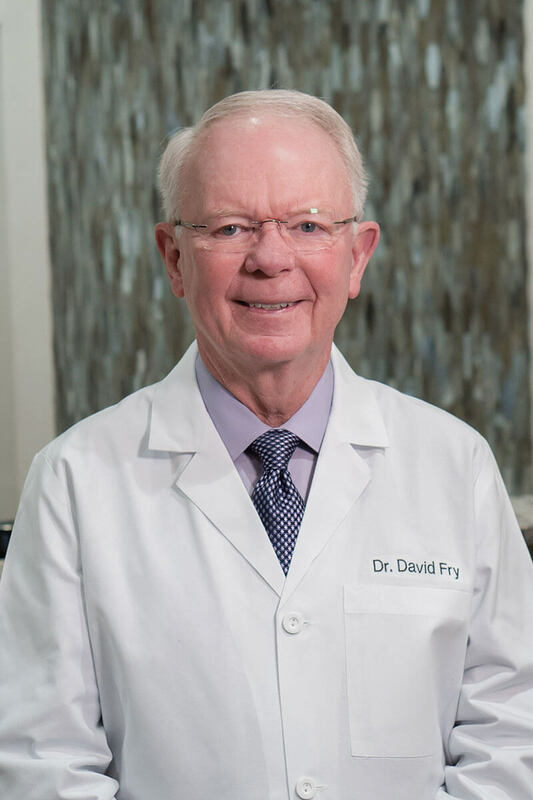 Dr. Fry has been married to Linda for over 45 years and they have two daughters, Emily who is a Pediatric Oncologist and Katie who is an Endodontist. He is known by his grandchildren as “Big” and really enjoys spending time with them. He has a love for travel, exercising and playing golf. Dr. Fry and the entire staff look forward to serving their community again this year with their Dentistry from the Heart program which serves those in need. Working on the new Eastchase Dental Office has been an exciting project for Dr. Fry and the practice. They invite you to come and visit soon!